Before giving you a loan, your mortgage lender requires you to purchase a minimum amount of hazard insurance, also known as homeowners insurance. Hazard insurance is the portion of a homeowners insurance policy that protects against losses from unintended damage or destruction of your house. Hazard insurance directly protects your lender's financial interest in your home, so it requires coverage against the problems most likely to affect your house, which vary by geography and property type. 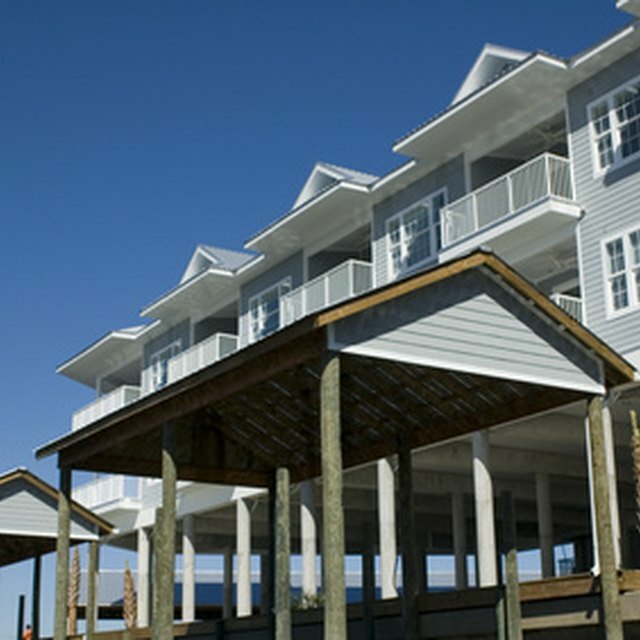 The standard homeowners policy protects against damage and possible loss of the structure from events such as hurricanes, hail, lightening, fire and fallen trees. Such a policy pays to replace the structural components of your home, including detached structures like garages and pools, as long as the structures are used for residential purposes. The minimum amount of coverage required by your lender is based on the replacement cost or replacement value, which your lender determines by way of a home appraisal before giving you the loan. A standard policy also covers certain personal items and household contents affected by the perilous events allowed under your policy, as well as theft. Such items include furniture, clothing, sports equipment and electronics. You must pay extra to cover items such as business equipment, heirlooms, jewelry and artwork. An up-to-date inventory of your personal property facilitates the process of reporting losses to police and filing claims with your insurance company. You can protect other assets through your standard homeowners insurance policy's personal liability coverage. This part of a policy protects you against a lawsuit in the event someone gets hurt on your property, or a covered family member damages someone else's property. For example, if someone slips and hurts themselves on your property due to a safety hazard such as a faulty rail, you may be liable for their medical expenses. The policy also may cover dog bites and certain other bodily or property damage caused by your pet. If you live in a high-risk area prone to natural disasters like earthquakes and floods, you may have to purchase additional insurance coverage. Earthquake coverage, for example, can increase your hazard insurance costs dramatically. The average homeowners policy cost $900 in 2012, according to HomeownerInsurance.com. Yet, earthquake insurance cost about $1,000 to $2,000 in the most vulnerable areas of California, according to a 2010 report by Daily Finance. Your lender will advise you if such coverage is required based on findings during your home loan underwriting process.